Alright, it's been quite a while but tourneys are finally back on! Veteran doomers Cecil, Souler, Demolition, and Caboose are sponsoring two monthly tourneys that are about to begin, and they'll both have cash prizes for the winners! 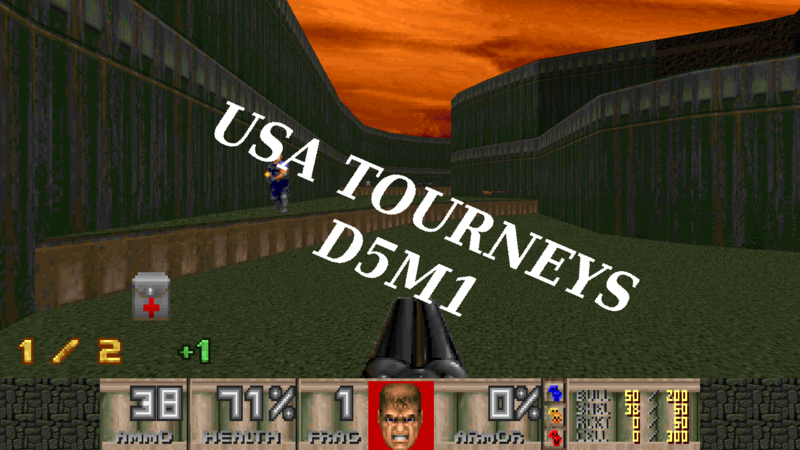 Both tourneys for this month will take place on D5M1. One will be a duel tourney, and the other will be a two player team deathmatch tourney. Both of these competitions will take place on American servers, however players of all nationalities are welcome to participate. If you're interested in signing up, check out this thread on the ZDaemon forums, or hit us up in #competitive on ZDIRC.